It is the 31st century, a time of endless wars in which star empires clash across human-occupied space. 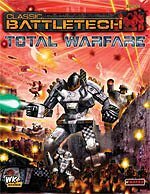 These epic wars are won and lost by BattleMechs, 30-foot-tall humanoid metal titans bristling with lasers, autocannons and many other lethal weapons; enough firepower to level entire city blocks. Your elite force of MechWarriors drives these juggernauts into battle, proudly holding your faction’s flag high, intent on expanding the power and glory of your realm. Supported by units of armored vehicles and power-armored infantry, will they become legends, or forgotten casualties? Only your skill and luck will determine their fate! We produce a range of 1/285 scale (approx 6mm infantry) Battlemechs, tanks and aircraft under license from Iron Wind Metals for use with the Classic Battletech game.